Our Ceylan 22 season starts on the 22nd February and 3 other Ceylan's films will be screened on the 22nd of March, April, and May. 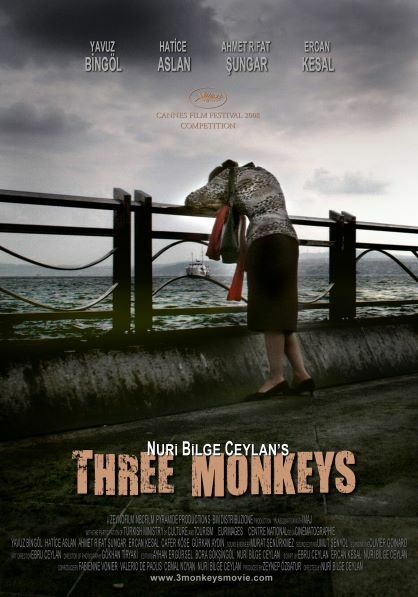 Three Monkeys which won The Best Director Award at the 2008 Cannes Film Festival tells the story of a family battles against the odds to stay together by covering up the truth... In order to avoid hardship and responsibilities that would otherwise be impossible to endure, the family chooses to ignore the truth, not to see, hear or talk about it. But does playing “Three Monkeys” invalidate the truth of its existence?